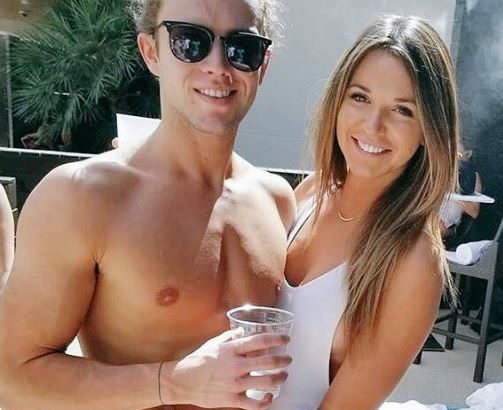 The Big Brother 20 Finale only wrapped up a week ago and Tyler and Angela have already taken their relationship to the next level. Its no secret that spending 3 months together in the big brother house fast forwards your relationship and as such they have decided to live together. Tyler has moved to LA to live with Angela in her home. 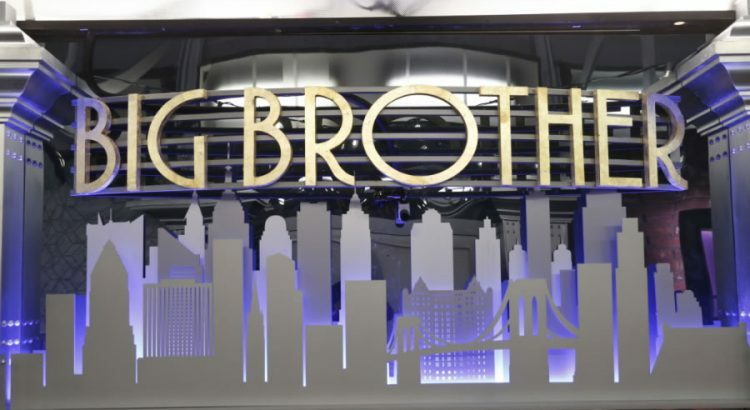 With the finale of Big Brother 20 having wrapped up a week ago, Bayleigh and Swaggy open up to ET about conceiving in the big brother house and their unfortunate miscarriage. 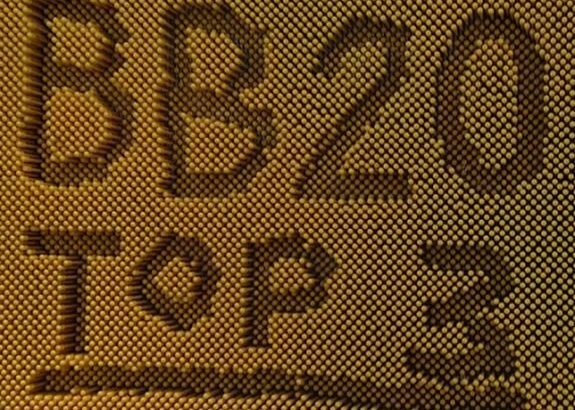 We had high hopes of the baby one day 20 years down the road entering the big brother 40 house to fight for his/her parents honor. Unfortunately, yet another one of our OBB dreams have been shattered. All joking aside we are truly sorry for their loss and are happy to hear the situation has made them stronger as a couple. 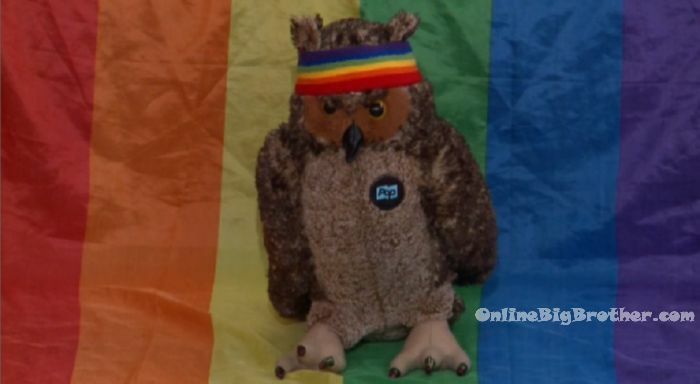 Tyler won the first HOH Kaycee won the second. The winner of the third will most likely take the other. I’m confident the final 2 will be Kaycee and Tyler. A quiet end to an exciting season. Special thanks to all the contributors to this site it was another great year! 9:10pm The live feeds return to the final three talking in the kitchen. Kaycee – I’m feeling that champagne. Not even tipsy, just relaxed. I am so glad we got that over with and to know that we don’t need to know the days or the faces. Tyler – hopefully! F**k! JC – so part 3 is live right? And I wait for you guys here? 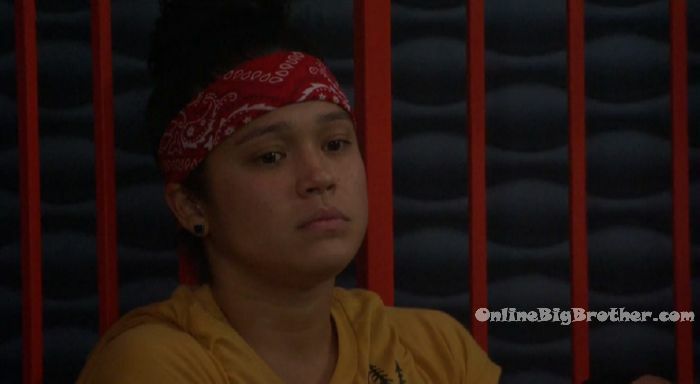 (Kaycee won part 2 of the 3 part HOH) Or do I sit outside seeing it? Tyler – I bet you get to watch. If its live. JC – I bet I know what its going to be .. its going to be physical.. why not everything else is physical. F**King, F**king swimming pool with sharks! Kaycee – great, I f**king lost. 5pm Kitchen. 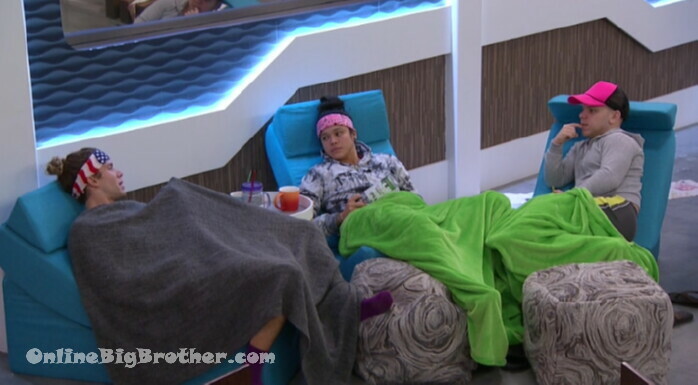 Tyler, Kaycee and JC chatting about past events of the season. Tyler – what if we get out of here and find out that Sam is a superfan. JC – her strategy was keeping all the bathrooms clean and feeding all the tarantulas or uhh.. spiders. JC – did you guys every notice how Angela has a non-constant voice? Like her voice was weird. Like I would see her going up and down a lot in her voice. Even when she would make big announcements you would notice it even more. Tyler – I think she’s just not a big talker. Tyler WINS Part 1 of the 3 Part HOH Competition! 12:42 When the feeds return – the final 3 are in the kitchen. Tyler – How long were we out there? JC – I think we were out there for an hour or probably less. I think we went out at 11. Tyler – I think it was an hour. I was zoning out. Damn guys! Kaycee – that sh*t was hard. Tyler – I really didn’t think we were going to have to do any more of that hanging bullsh*t. After the “pie in the sky” I was like this sh*t is over. JC – last yeah they had a unicorn and it was farting on their face and stuff. JC – I had a little bit more in me. 7:25pm Kitchen. 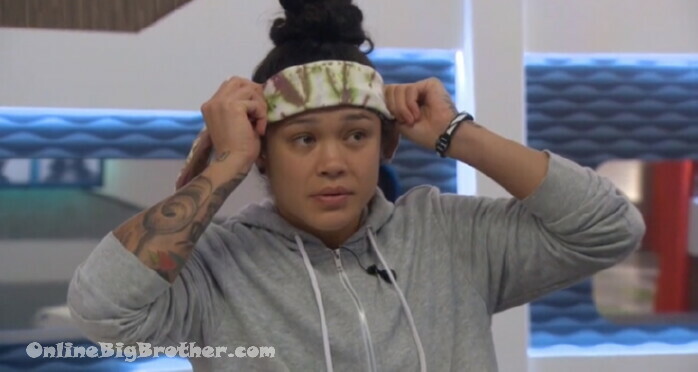 Kaycee, JC and Tyler are in the kitchen. They talk about who the jury thinks is joining them. They head to the bedroom. Tyler – the hardest one to get out was Rockstar. Tell the one person who you don’t want to win what the right answer is. They all laugh. 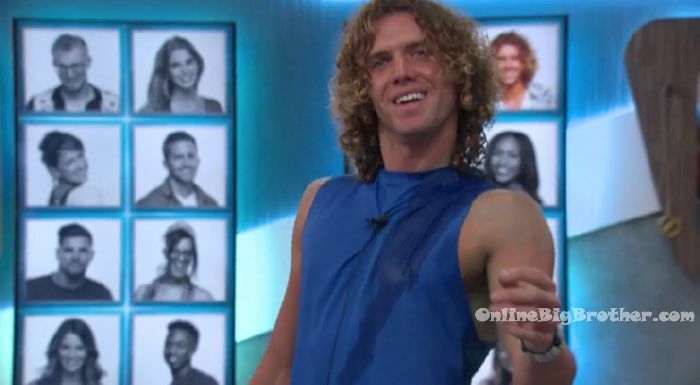 JC – its crazy, the first time in big brother history that 3 gay people make it to the top 3! Kaycee laughs. Tyler – I said the nicest speech ever and you said that speech made me want to throw up. Kaycee – it was really nice. Tyler – I wish I had said that we’re broken up. If I have to say another speech, I’ll say that. JC – what’s waiting or us out there. 9:01pm Bedroom. Tyler and Angela. Angela – Girls hate girls. So lets count. I have Bayleigh, Rockstar, Sam, Haleigh and Fes. You have Brett and Scottie. Tyler – so you get Rockstar hating you and I’ll get Bayleigh hating me. Angela – no I backdoored her. You had nothing to do with her backdooring. Tyler – yes I did, I put on sunglasses. She hated it. Angela – I made a speech about her being the hacker. You just told her. I win, I am more hated. You have to continue on. I will go home. This is the way it has to go. I should just tell Kaycee. Tyler – no. Angela – no look at the numbers, there is no way.